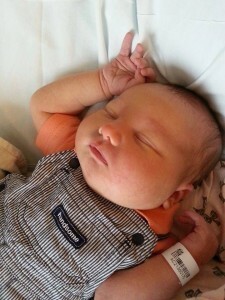 As many of you may have heard, our hygienist Miranda had her baby boy! Beautiful Henry Ray was born on July 8th. He weighed 10 lbs 6oz and was 22 inches long. He is absolutely adorable and very easy going. Mom and baby are doing great.